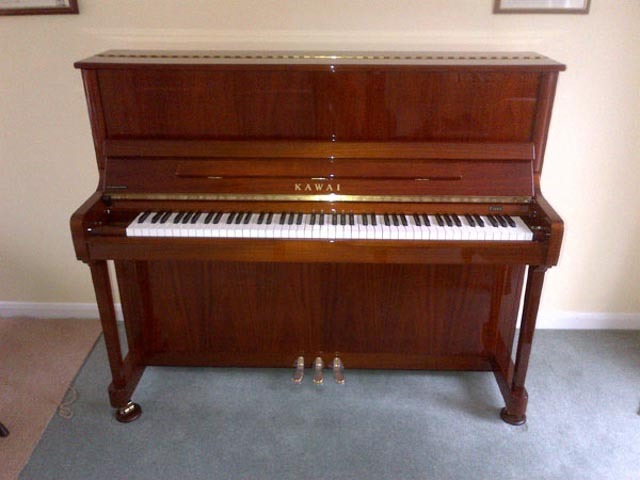 We are delighted with our beautiful Walnut finish Kawai K3 piano which we have now had for nearly 2 months. We love the way it sounds, its touch is exceptional and we never get bored of playing it! We are always admiring how good it looks as well! We are very pleased to have met Ben and have been very impressed with the service from the beginning to end, we were offered a good no haggle deal and we didn’t feel the need to shop around at all and bought it straight away! We will certainly be recommending Ben to anyone looking for a piano!